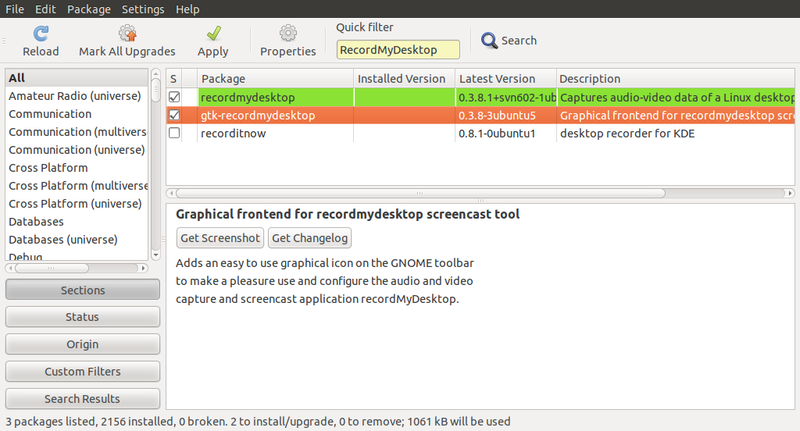 recordMyDesktop produces an ogg-encapsulated theora-vorbis file. recordMyDesktop tries to be as unobstrusive as possible by proccessing only regions of the screen that have changed. To install recordMyDesktop, seaarch "recordMyDesktop" in Synaptic Package Manager, and mark both "recordMyDesktop" and "gtk-recordMyDesktop" for installation, and click Apply. 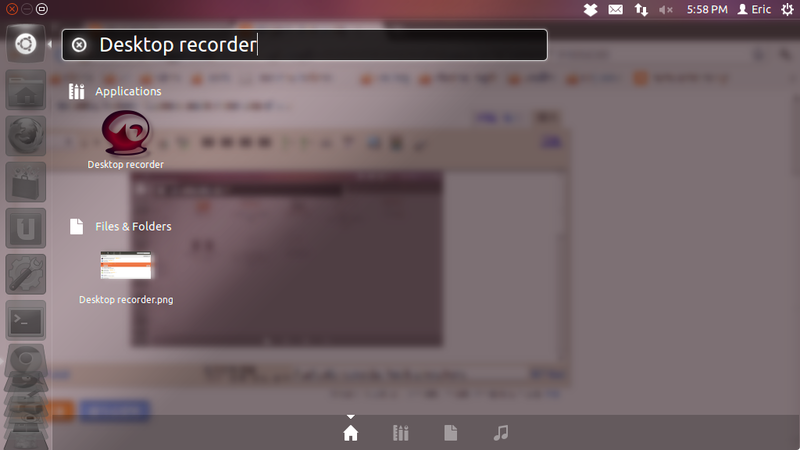 To start the application in Ubuntu 11.10: enter "Desktop recorder" in Ubuntu launcher, the application "Passwords and Keys" will come out.